This is the greatest song of all time. Forget all the other songs and works of other artists. Don’t get me wrong, there’s a lot of great songs out there. But they all pale in comparison to this masterpiece. That new fire Kendrick Lamar song that came out two days ago? It’s sick, but I’ve bumped this song on my subs for about a year. Taylor Swift’s positive pop music? This jam will have you popping with positivity. Kanye’s the greatest? Nah, this right here is the greatest. 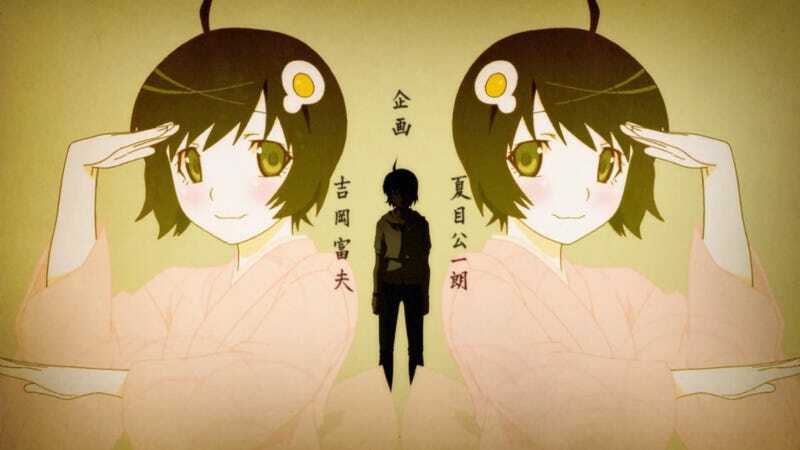 The song I speak of is the OP to one of the arcs in Nisemonogatari, specifically the Phoenix Arc. The melody that is to be highly revered above all others is called Platinum Disco, sung by Yuka Iguchi. This is the stuff that inspires. The tune that can change a man’s life. A song that shapes reality itself. At least for me it’s done all of this. Flash forward to one week later. What happens after I’ve been grooving to this tune for a while? Well my hair. The hair that I have been lovingly growing for four years, is cut. What does this have to do with the song? Well the story arc in which the song is used sees one the characters, Karen, cut her long hair. This song plays; then a character cuts her long hair. I listen to it, and then my hair gets cut. Is this just a coincidence? No, this is the workings of Platinum Disco. This song’s reach affects the physical world. All the good thing in my life recently, is probably because my world is a platinum disco. It’s just unfairly overpowered. This songs just fits any occasion. In conclusion, this is my report on why I believe Platinum Disco is the greatest song of all time. And that’s why I should get an A.